Who speaks for Islam? What are the sources of authoritativeness vs. authoritarianism? How is authority recognized or gained? What is required of those who speak with authority in Islam? Are they speaking on behalf of God? 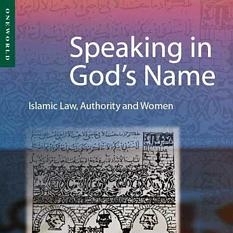 Each book offers its own unique yet full treatment on the issue of Authority in Islam. for the national anthem and analyzes the typical modern approaches to asserting authority and authoritativeness. Through the example, Dr. Abou El Fadl illuminates the nuanced and sophisticated approaches and methodologies required for authoritative jurisprudential rulings, which are largely misunderstood, if not wholly absent, in today's Islamic law discourses. 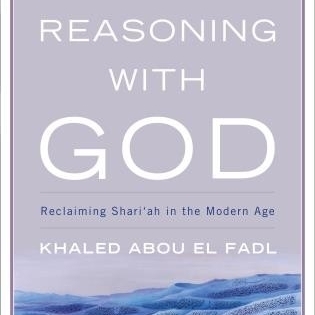 Reasoning with God thoroughly diagnoses, analyzes and critiques the history, symptoms and symbols of the crisis of authority in modern Islam, and offers an alternative way forward for reclaiming the beautiful moral and ethical message for the elevation of humanity through Shari'ah, the path to and from God. 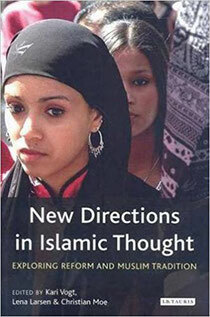 “Islamic Authority” in New Directions in Islamic Thought: Exploring Reform and Muslim Tradition, ed. Kari Vogt, Lena Miller and Christian Moe, London: I.B. Tauris, 2009. EXCERPT: "In formulating Islamic law, it has become common in the modern age to use the authority of the Author (God) to justify the despotism of the reader. In effect, by claiming that the only relevant consideration is the Will of the Author, the reader is able to displace the Author and set himself as the sole voice of authority: the reader becomes God, as it were. The replacement of God’s authority with that of the reader is an act of despotism and a corruption of the logic of Islamic law. "Islamic law is founded on the logic of a Principal who guides through the instructions set out in texts. Those instructions are issued to the agents who have inherited the earth and who are bound to the Principal by a covenant. The point of the covenant is not to live according to the instructions, but to attempt to do so. Searching the instructions is a core value in itself – regardless of the results, searching the instructions is a moral virtue. This is not because the instructions are pointless, but because the instructions must remain vibrant, dynamic, open and relevant. It is impossible for a human being to represent God’s Truth – a human being can only represent his or her efforts in search of this truth. The ultimate and unwavering value in the relationship between human beings and God is summarised in the Islamic statement, 'And, God knows best'. "Deferring to God and honouring the text requires a human being to exercise self-restraint in speaking for God and the text. But discharging the obligations of human agency mandates that the reader (agent) take his or her role very seriously by aggressively and vigorously investigating both God and God’s instructions. 'God knows best' is not an invitation to intellectual complacency and smugness, but, as the Qur'an states, to realise that 'over every knowledgeable person is One more knowledgeable' (Q 12:76). Submission to God is at the core of the Islamic creed, but it does not mean blind submission to those who claim to represent God’s law, and it does not mean submitting to the contentment and comfort of arrogant self-reference. Submission to God means the will and act of engaging the intellect and body in the pursuit of God, but also the humility of knowing that no intellect or body can ever fully represent God. The Qur'an sums up this point by reminding the Prophet that even he has not been sent to control or dominate people, but to admonish and teach (Q 88:21–2)." "Religious Authority in the 21st Century," in the conference publication for “Speaking in God's Name: Re-examining Gender in Islam” (2012). EXCERPT: "...The Qur’anic concept of viceroyship, khilafa, is directed to human beings generally. The Qur’an states that there is a moral khilafa, a moral viceroyship or a moral agency, in which all human beings share a responsibility in taking care of what God has created, and in fact in being the inheritors and the duly delegated agents or authorized actors on behalf of the Divine on this earth. Here I emphasize again that in the Qur’an Muslims are not exclusively charged with these duties; rather, all human beings are given this responsibility, khilafat bani adam, khilafat al-insan. The Qur’an in a very direct fashion tells Muslims that as a Muslim you do not reserve a permanent position in this process of agency vis-a-vis God. 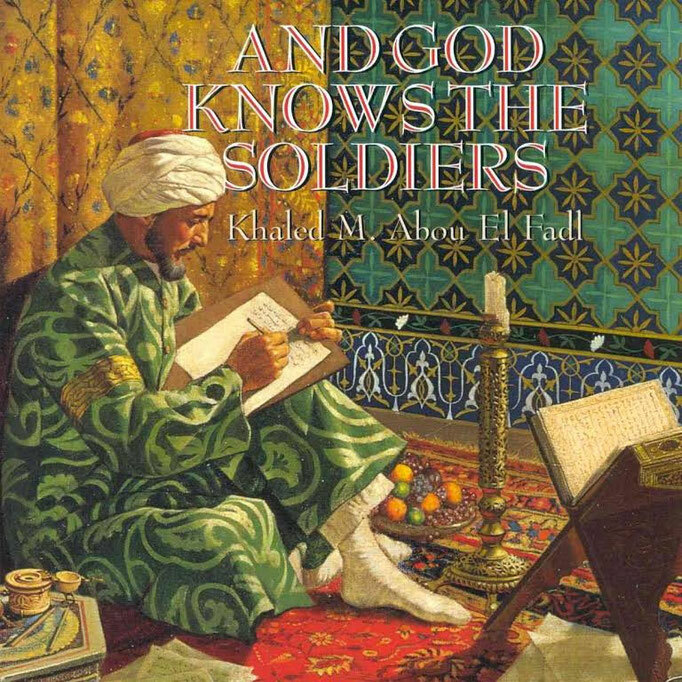 More bluntly, as the Qur’an talks about the process of mudawala, the constant dynamic of shift and movement in the fates of people and the constant process of the circulation of the resources and the values that God has created, it states that Muslims do not have a special status and that they are not God’s chosen people in any sense. Rather, God has created some basic moral laws, which Muslims and non-Muslims are told they must live by. Those who observe certain principles will have their assets rise. However, this rise is only temporary, and while they will become the forbearers and the inheritors of civilization and the leaders of humankind for a period of time, inevitably, no matter who or what they are, they will eventually come down and be replaced by another civilization or people. The Qur’an calls this a process of tadawul or mudawala and Muslims are certainly not exempt from this process of mudawala. "...All of us, as we look at our past, our present, and our future, whether we examine issues of civilizations or nations or gender, we have a choice in narrative. This is a narrative in which we imagine each other, we invent each other, we construct and reconstruct each other, and most importantly, we invent, we imagine, and we construct ourselves. The moral choice is one in which you could see a constant competition between human beings in a harsh, unfeeling environment, or alternatively, you could see a very different possible narrative. This alternative is the narrative of continuity and the interconnectedness of human affairs. The clear subtext of the Bishop of Cordoba’s statement is that when the vulgar politics, the power dynamics, and the petty competitions are stripped away, we find that the culture that existed in Europe is fundamentally integrated with the values of Muslims, just as the values of Muslims are fundamentally integrated with those of the Greeks, Jews, Romans, and all those that preceded them. And just as Muslims’ values today are integrated and fundamentally penetrated and permeated with the values of the former colonizers in a complete relationship of disempowerment and subjugation, today, the former colonizers find that their values are clearly influenced by the presence of Muslims who live in secular societies. Religion plays a critical role in processes of continuity and in the process of competition and exclusion. Religion plays a fundamental role because it anchors human beings; it roots human beings. For example, something that affected me very deeply recently was the story of Hamza Al-Khatib, the Syrian boy who was tortured to death at the hands of government officials. It is the existence of religion that allows many people, including myself, to be somewhat at peace with humanity in thinking that there is consolation, and that there is something else beyond this temporal human justice for Hamza. Religion gives us the potential for believing in goodness and beauty and the possibility of goodness and beauty. 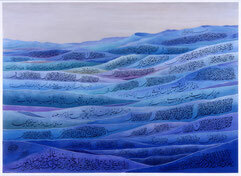 At the same time, religion provides us with something else that is critical for the choice of moral narrative—it is the joy, the privilege, the grace that I wrote The Conference of the Books about, and that is the indispensability of the transcendental moment of huda, true guidance..."
"Speaking, Killing and Loving in God’s Name." The Hedgehog Review 6, no. 1 (Spring 2004). The Levinson Lectures on Religion, Democracy and Justice, University of Virginia, 2003. EXCERPT: "...Let me start by perhaps stating the obvious: that religious belief—like all systems of ideological conviction—is powerful. And in the case of religion in particular, its power comes from its ability, among other things, to synchronize between the physical and the metaphysical; to integrate between the individual and the collectivity; and to give an individual the sense that it is not only that he or she belongs to the collectivity, but also that the collectivity stands behind the individual. Part of the power of religion is that it defines its own strengths. It promises what appears to be unattainable. "At times, that power could disintegrate into a form of care-less thinking where the aspirations are not connected to any material or logical or rational premises, but, where it becomes something that yields the power to dream. To dream—it is remarkably powerful—powerful whether it produces love, beauty or any opposites. Furthermore, depending of course on how one handles religious conviction, in many ways, it allows the individual to have a claim to the universal; to make the universal attainable through an individuality. The personal, with all its details, can suddenly become relevant to much more than itself. And ultimately, this power redeems the promise of the comfort of a truth that can give coherence to matters that often are confronted with cynicism, and a sense of hopelessness, or at least a sense of futility. It can render the incoherent coherent in a word. "But that power sits in tension and is quite at odds with another aspect of the religious. The religious quite often is not self-referential. Rather, it references something quite bigger than the individuality claimed. In the case of Islam, it is not sufficient that the individual says, “I feel, I want, I dream.” In the case of Islam, in many ways, the individual’s struggle is the attempt to understand what God wants, what God desires, what God says. "Now, naturally, the individual is asked to handle the power that is profound and awesome—a power of divinity. And, without a remarkable dosage of humility, perhaps a constant dosage of humility—daily injections of humility and modesty—what religion promises could turn on itself in very profound ways..."